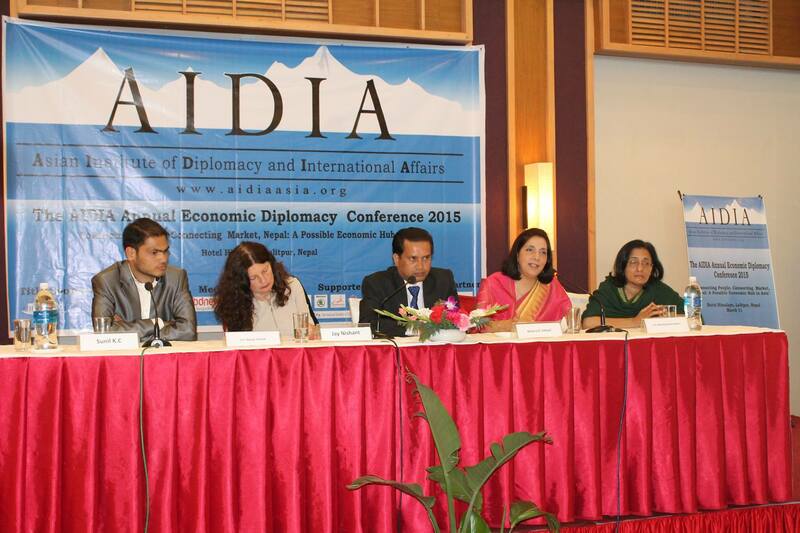 The AIDIA Annual Economic Diplomacy Conference in the theme “Making Nepal an Economic Hub in Asia”. It is Nepal’s biggest brainstorming event, bringing together the most relevant leaders and experts from business, Finance, Diplomacy, academia, government, and civil society. This event sets the stage for jointly exploring critical, national and regional agendas. The Summit will bring together over 200 members of the Network to Nepal to explore the latest developments and innovations in business, society and technology, to provide a better understanding of the fundamental transformations impacting our world, and to collaborate in interactive panel discussion series to provide innovative recommendations on some of the most pressing challenges on the regional stage. This year’s Conference will introduce a new class of innovations that can help drive solutions for a better future. AIDIA Annual Economic Diplomacy Conference is the platform for business leaders and decision-makers to prepare for the opportunities that lie ahead as our economy continues to grow. It will become Nepal’s premier event for advancing the country’s local, regional, and global economic position globally. Individual presenters and panels of knowledgeable national and regional experts of business innovation, law, entrepreneurship, economic development, global expansion, energy, real estate, political process, economics and more will be conducting specialized breakout sessions in multiple tracks throughout the day. We also have the honor of having a series of business experts serve as keynotes and panel participants. We welcome you to the 1st AIDIA Annual Economic Diplomacy Conference on “Making Nepal an Economic Hub in Asia” and look forward to having you contribute to an event that is on a mission to bring together the region’s best leaders to solve the most challenging of economic problems. To make a Nepal an economic hub in Asia. To provide a platform to exchange ideas from different experts from the various country to express their views for improvement of diplomatic relations and economical circumstance of Nepal. To prioritize economic and political situation of Nepal in International level for improvement the country’s policy and economy. To keep economic diplomacy in frontline of Nepalese foreign policy for the promotion of trade and business relation among the countries.